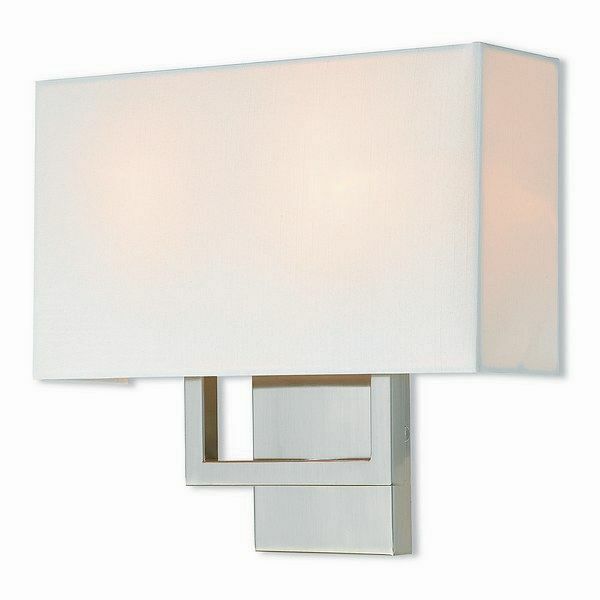 Livex 50990-91 - The contemporary design of the Pierson wall sconce is as beautiful as it is simple. An open rectangle, brushed nickel finish frame is paired with a light and airy horizontal rectangle off-white fabric hardback shade. Dimensions: 13" W x 11.75" H x 3.875" Ext.